Bath time literally brings parents to their knees. It’s an uncomfortable sacrifice we have to make to ensure babies and young children are safe, and washed when in a bathtub. And oh, how painful it is to kneel down on cold tiles – it often means a quick dip in the bath for the kids rather than a relaxing soak. 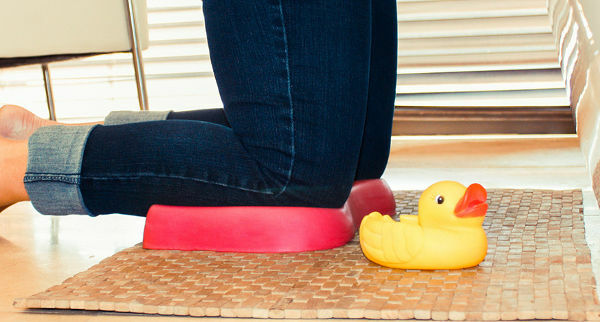 This clever, knee-saving pad will save your knees and back, and ensure bath time is fun for all. Kneepal is a very simple, but very comfortable option for parents and grandparents, or anyone charged with the task of bathing small children in a bathtub. The Kneepal is soft and cushioned, and its moulded design ensures that knees are cradled and supported. In fact, kneeling on a Kneepal is like kneeling on a marshmallow! You can forget having to roll up a towel to place under your knees, just keep this waterproof pad handy and you’re set each bath time. The Kneepal is also a brilliant and thoughtful gift for any new parent, and makes a great addition to a baby shower essentials gift pack. And if your kids are past the need for you to kneel over the bath, the Kneepal has a life well beyond the early childhood years. Cleaning the bath has never been as comfortable as it is while using a Kneepal. And they’re also fabulous for use in the garden, while weeding. In fact, they’re perfect for any task that requires kneeling for a period of time. 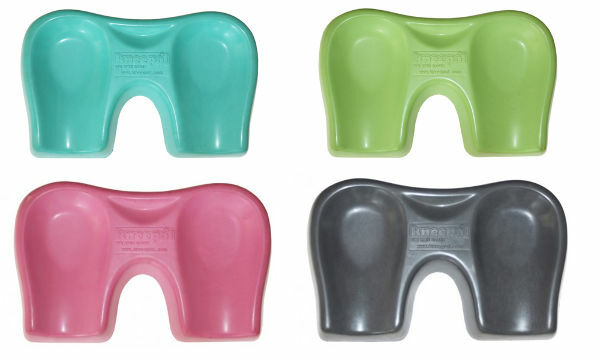 Kneepals come in four fun colours, and cost $34.99 each. They are available directly from Kneepal, which can also gift wrap and add a personal message for an extra $10.